The 2015 Kansas Heritage Fund grants have just been announced. 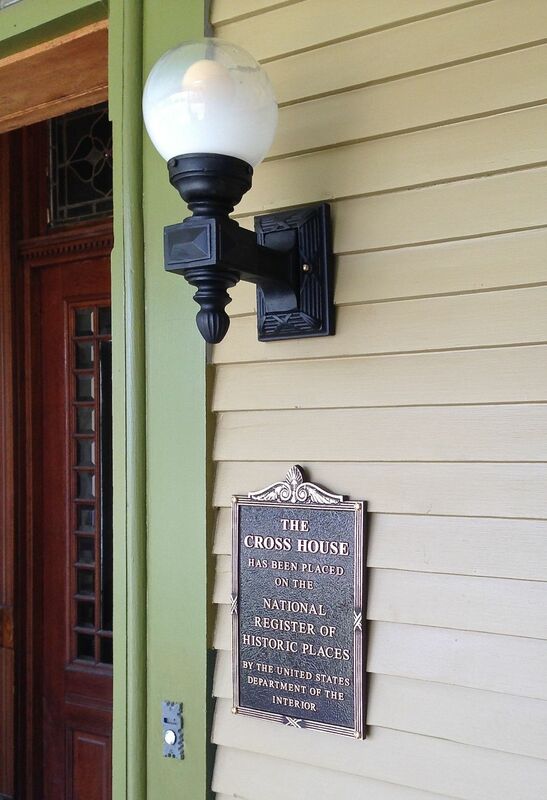 The Cross House had applied (after six months of work on the application). Then there was 3-1/2 months of waiting for the results. The Heritage Grant program is funded by a small tax on every mortgage filed in the state. The monies collected are then disbursed to properties either on the National Register of Historic Places, or on the Kansas Register. Every year, 30-40 applications are received, but due to limitations in funding, only about ten grants are awarded. So, receiving a Heritage Grant is far from a sure thing. One can apply for up to $90,000. Every state in America should have such a program. 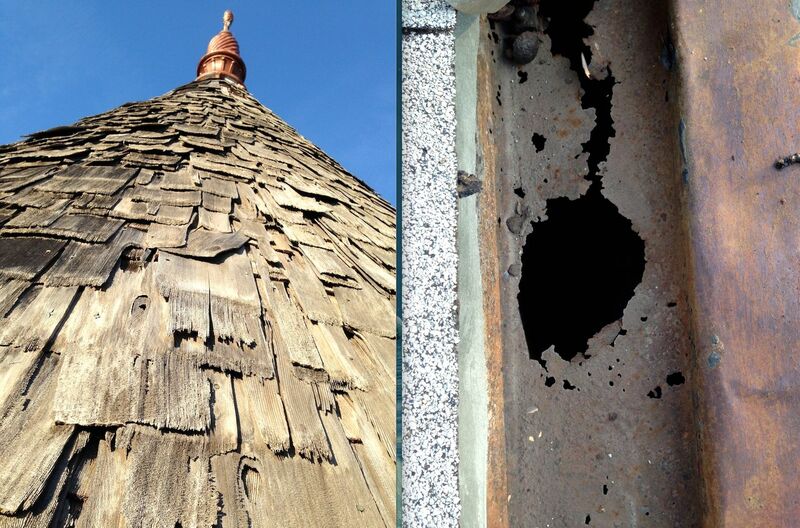 Historic properties are significantly more expensive to restore/maintain than non-historic properties. This is why incredible structures are demolished daily; there is simply not enough funds to restore them, causing a steady erosion of our historic/cultural heritage. A historic property which has been beautifully restored normally spurs improvements to adjacent properties, and so on. A neighborhood with a historic district designation will enjoy higher property values than non-designated neighborhoods. A city rich with historic restored properties will attract significant tourism. Who does not love gorgeous old buildings? There is no way that the grant application (a huge amount of work) would have been completed and submitted (on time!) without the help of Mi’Chielle Cooper. While I give myself a pat on the back for having had the sense to retain a professional, I give Mi’Chielle a huge hug for being so good, thorough, and wonderful to work with. On Friday (also my birthday), she and I ventured to Topeka to speak on behalf of our application. There were 47 such applications, and this was…intimidating. Particularly as we thought that all the projects should be fully funded. So many historic & cool structures, and all worthy of help. However, the reality is that while there was about $3 million in funding requests, there was less than 1/3 of such funds available. As I stood up to speak on behalf of the Cross House, and walked toward the podium, I was startled and unnerved by an unexpected rush of emotions. Quite alarmingly, I felt a outpouring of tears wanting to flood my eyes. Geez. This was the LAST thing I needed. Control yourself, man! Control yourself! I knew I could not reach the podium looking like a soggy mess, and willed the emotions (where did they come from?) back underground. I reached the podium, turned to the audience, and felt relieved that my eyes were dry. I smiled, and somehow managed (as Mi’Chielle later stated) to seem calm & coherent. The next day, Saturday, I had to go the Kansas City for business, and also to have lunch with some friends. Mi’Chielle said she would call the minute she knew anything about the announced 2015 funding recipients. It was unknown if this news would be available on Saturday or Monday. The waiting? A G O N Y. In the late morning I received from Mi’Chielle several texts: no news. I met with my friends, and we went out to a fast-food restaurant. Just as I reached the front of the line, and as the person behind the counter said Can I help You?, my phone rang. Normally, I would have just ignored it. But not now. Not this day. No way! “Oh, please excuse me,” I said, then pulled out my phone, glanced at the caller ID, and nervously clicked Accept Call. I knew other people in line were thinking: What a jerk! No matter, because my heart had stopped. All the noise in the restaurant seemed to go utterly quiet. Time stood still. The solid ground beneath me was replaced by air; I felt like I was floating. Mi’Chielle had good news. Great news. Incredible, stunning, and miraculous news. The eyes of my friends were wide. Yes, #10 is THE Cross House. I am still sorta stunned. And thrilled! And deeply grateful. The grant is vital. I purchased the house knowing that I did not have the funds to fully restore the house, so I crossed my fingers that I could obtain grants, and forged ahead on faith. However, I am old enough, and have been through enough in life, to know that hopes are often dashed. Sometimes even crushed. Hence, my being shell-shocked at this incredible news. We all complain about Government & Taxes, but this is a government program which does much good. Since 1990, the Heritage Trust has helped historic structures across Kansas. What a wonderful use of tax dollars. Thanks also to Katrina Ringler, grants manager at the Kansas State Historical Society. Katrina was a pleasure to work with. A most special special thanks to Mi’Chielle Cooper. Heritage funds are specific. They can only be used to help protect the exterior envelope of a historic strucure. 1) Re-roof the two towers, and all the porches. 2) Reline all the built-in gutters. 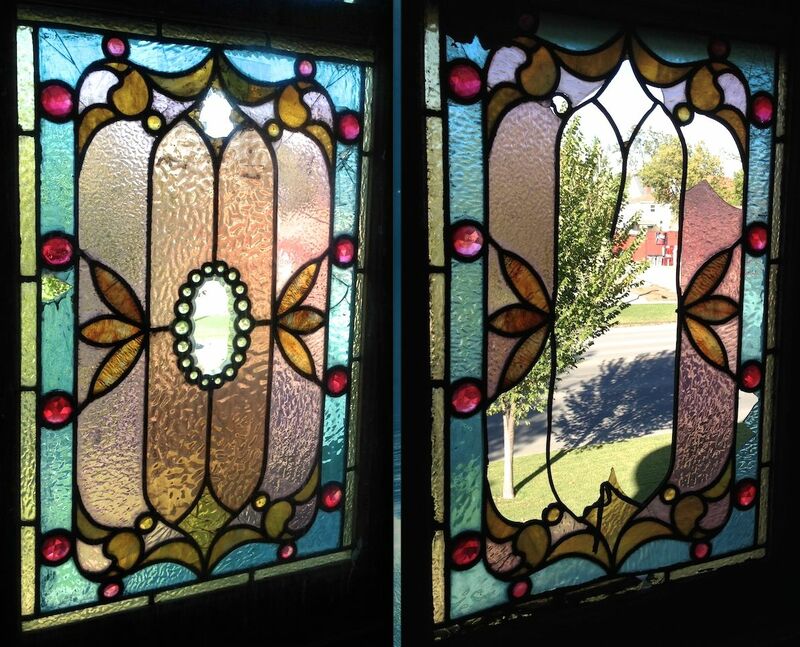 3) Restore about 2/3 of the stained-glass windows, and about half of the clear-glass windows. The remaining windows will have to wait for later funding. 4) Replace missing siding on the north and south exterior walls. 5) Replace the entire water-table, and repair sections of the rotted sill. LEFT: The round tower roof. Terrifying. RIGHT: Severe damage to a section of the built-in gutter. Terrifying. LEFT: A window in poor condition. RIGHT: A window in terrifying condition. LEFT: A clear-glass window. The condition is typical, and terrifying. RIGHT: The glorious AFTER. LEFT: See the gray trim right above the stone foundation? That is the water-table. It is designed to shed water AWAY from the wood sill which the house is resting on. But see also all the cracks and holes in the water-table? All that is letting water get to the sill and rot it. And this section of water-table is in better shape than most of the water-table! Whole sections are missing. RIGHT: Rotted sill. Terrifying. Missing siding is a bad bad thing. Terrifying. too. To do all the work required to fully protect the exterior envelope of the Cross House will require additional funding, but the 2015 Heritage Grant will accomplish a great deal. And I have said it before: I think the Cross House is blessed. 33 Responses to W! H! O! E! E! YAY!!!!!!! I’m so happy for you! This is very exciting news!!!!!!! Thanks, Kelly! I am still in a state of shock! It does not seem real yet. Ahhhh!!!! Congratulations! So well deserved. I am thrilled for you! Congratulations on receiving the grant for such a worthy project. I can’t wait to see the progress! Way to go, Mi’Chielle and Ross! Mi’Chielle, it’s good to cross paths with you again, and see you continue to accomplish great things in your community. This is such an exciting project! It is not a surprise at all that MiChielle was able to help you accomplish the grant funding for you. She is one determined lady. Congratulations! It will be a joy to see the progress of the house. Happy! Happy! Happy! Yea Ross! Thank YOU for allowing me to be me your Realtor. I’m thankful you had the courage (and lack of sense maybe – tee hee) to shepherd this project. You are A-Mazimg! Driving by and seeing the process and progress at the Cross House is wonderful. Makes me smile each time I do. Great job friend! Well Done. Look forward to new posts and all the progress. Lucky Cross House. Lucky you. Lucky us. So enjoying seeing it return to what it must have been. WooHoo!!!!!! Congratulations, Ross! I’d bet you’re walking a little taller today with some of that weight off your shoulders. This is great news and I, for one, can’t wait to read about all the expenditures. What a great program! Given the fiscal issues facing Kansas, I hope the program isn’t mothballed anytime soon. Regardless, congrats! My heart just skipped a beat, reading this! Congratulations!! I know this is a relief for you! And I know that somewhere from above, my Aunt and Uncle are smiling that their “once-loved-residence” is being cared for. Thank you for all you have done, all you do, and all you will do in the future to protect this beautiful, historic house. I too, have tears in my eyes about this. GREAT JOB!! So happy to hear this ! Congratulations ! ! ! Looking forward to seeing the progress! Thanks everybody! It brings a smile to my face reading your comments! My husband, Walter, and I are so happy for you. Great news! Thanks Janet! Did you buy the house??????????????????? Yes, we did! We are thrilled and so excited to begin our adventure. I think Walt loves it as much as I do now. Can hardly wait for the work to begin. Window restoration is underway. NOTE to readers: Janet and Walter purchased this cool house. That is FANTASTIC news Ross!! I love watching the progress!!!! Congrats again! I smile every time I think about this!!!! And just so you know, I wasn’t kidding about the happy dance, was still at work and am pretty sure one of the housekeepers that witnessed the spontaneous event thinks I am totally out of my mind……And you failed to mention your birthday, so happy belated! Congratulations! Have watched this project for years and hope to see it completed. Oh Ross, I literally have my eyes full of tears as I write to send you my heartiest congratulations!! on receiving this grant. And a big “Way To Go” also to Mi’Chielle for obviously doing a superb job on putting all the paperwork and rationale together, and to all your grant supporters. I totally understand the rush of emotion that you felt, heading to the podium to speak – all the hard work and thoughts and worries and hopes for Cross House felt in those few moments……it is such good work that you have undertaken and are doing on Cross House, and that it is and always has been based on your belief that “somehow” it will all work out is such a source of inspiration and comfort to me…….so I TRULY am emotional and TOTALLY delighted, that for once, the Good Guys have a win. Your win is a win for all of us, all over this country, who sweat, work so so hard, dream, and go without what most consider the basics, to fight to restore and preserve these wonderful old houses for generations to come, hopefully. Sniff. WAY TO GO ROSS & CROSS HOUSE!! Congrats! We are preserving an 1889 house also on the historic register in South Dakota. 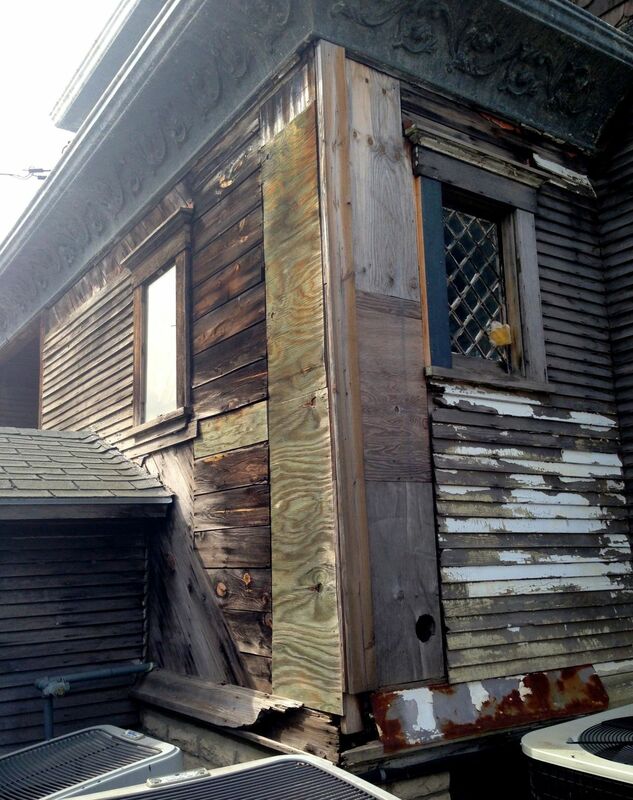 We recently were awarded The Deadwood Fund preservation award to retuck our foundation and replace cedar shake siding. These grants are a must for owners of historic properties to have access to. I love your blog! I have one too- but it, as well as my house are nothing compared to yours! Damn right YOUR home is blessed! To have 99% of it still there after all it’s been through, right on! A big thanks to the neighborhood and to who was responsible for putting the (security) fence around the property too. Awesome Ross!!! Thanks everybody for all your kind, supportive comments. I makes my heart sing reading them! Good for you! And good for your house! I wish all states offered such grants. My great-grandparents’ Queen Anne house in Arkansas is on the National Register, but it is slowly falling apart from neglect from its present owners. Arkansas does not offer any kind of funding assistance to preserve its building heritage and does not require homes on the National Register to be kept up.